DeviceBar, a well know tech gadgets site with a tag Gadgets & GizmosBar is founded by Pradeep Kumar who is CEO of SlashSquare- Indian Blog network, Earlier in iGadgetsworld, we used to present the youngest hackers (innovative people), took up the personal interviews with them but now, we decided to present the Youngest tech minds who presented their new ideas and showed what they are from their Gadgets site, and Mr. Pradeep Kumar wasn’t an exception, it’s our first Tech interview with a tech guy who love gadgets like us, and the guy with many talents, proved what he is at an young age ! Hi Pradeep, glad to have you here with us for an interview. Could you please introduce yourself to our readers? Hi everyone! This is Pradeep Kumar, CEO & Founder of Slashsquare, an Indian Blog Network and Web Consulting Media. 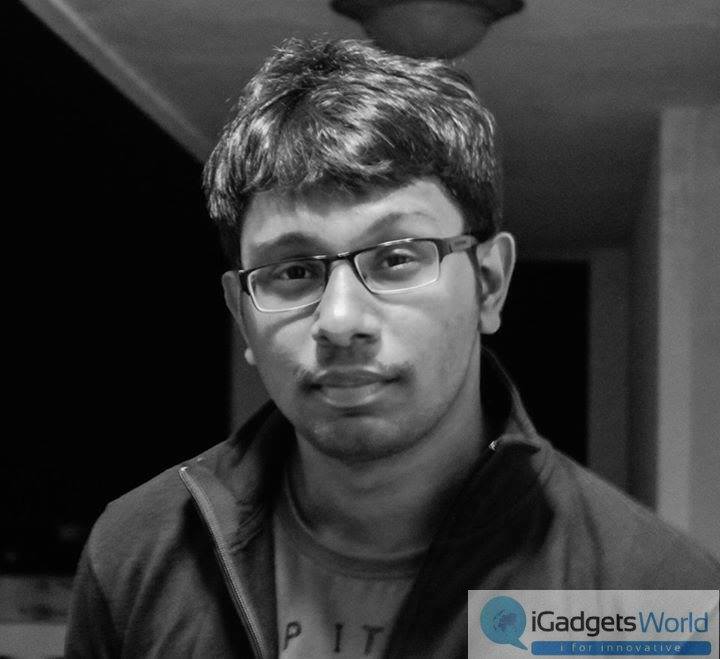 I’m a fun-loving guy, blogger, internet marketer, movie freak, atheist and a proud Indian and presently a gadget lover, and been working on my gadget site DeviceBar and writing many articles on how well you can use a gadget!, Glad to get this opportunity to share my views with like-minded people. Thank you. 2. You’re a tech geek so I guess you have a lot of gadgets, can you tell people what gadgets are you currently using? These are the two primary gadgets I use everyday, I’m planning to get a tab, hopefully within this year. I’m also a big fan of mobile accessories. 3. What do you think about the figures we saw in smartphone sales in the Q2 this year, in India? When I purchased my first phone (maybe 5 years back), I had very few choices to select from. There was Nokia, Samsung, and Sony. I was like, these are the 3 mobile brands out there and I should pick one among them. But now, it’s like people fighting to get OnePlus One when majority of them don’t even know about the specs or the brand name properly. If you love iPhones, then you’ll probably replace your old iPhone with the new model every year. Thanks to eCommerce sites now people don’t need to go out and visit Univercell or Poorvika to buy new mobiles, they can just buy with a Flipkart or Amazon mobile app within seconds. 4. What is your idea about the achievement of Micromax, that it beat Nokia in Q2 to be the number one mobile phone maker in the country? I think the credits might go to Android, it is like a perfect backbone for Indian Smartphone users. If Micromax tried to rule the market by having a different OS, or let it be Windows itself, it wouldn’t have probably reached this position. Their tie-up with Android and less pricing strategy helped them to reach a good number. 5. Samsung is now at 1st position in India. Meanwhile, the Apple of China, Xiaomi already defeated Samsung in China. Is India going to be the next market? Right from Xiaomi Mi3 to Redmi 1S, people are really crazy to buy it. I’m not sure how many can pronounce the word “Xiaomi” correctly but they all want to own a device nevertheless. Xiaomi did the same thing Motorola did. They entered the market with good features + low price + right time. Xiaomi would have seen the Motorola’s effect on India and thought India could be their best bet. If OnePlus One comes to India (publicly), then Xiaomi will have a good competitor and changeover. 6. Are you waiting for iPhone 6? What are the main features that you are looking for in iPhone 6 and how can it be different from other iPhones, only the screen size or more changes? I’m eagerly waiting for iPhone 6, but to review and not to buy. I’m ok with my current smartphone (Sony Xperia Z1) and unless it gets damaged, I have no plans to change it as of now. Apple iPhone 6 will be a great changeover when compared to their existing models, things like screen size, built, beats audio, etc., are creating enough buzz to create an impact. But Apple should really think wise this time while pricing their products, if they selling it for more than 70K, people will think thrice and then they’ll buy 3 OnePlus One smartphones (2014-flagship killer) instead. 7. Android L, the latest buzz in Android community? What is expected from it and will it be able to boost smartphone market in India after the tie up of Google with Micromax, Karbonn and Spice? Android L, or like the rumour says Android Lemon Meringue Pie, will be a great boast for Google’s Nexus line of products. It will have tonnes of new features that’ll make Android a better mobile OS. We can also expect some necessary improvements since this update will directly compete with Apple’s iOS versions. Indian market is already ruled by Xiaomi and Motorola, I highly doubt whether Android L can boost smartphone market in any tie up with Micromax, Karbonn and Spice. Day by day, people prefer online shopping and that’s the reason why we can’t buy Moto or Xiaomi in a local store. 8. Android Wear is totally a new concept. Gonna be a hit in public or just be a gadget of luxury? I’m not sure whether the market is ready for such a product, it might create buzz, but really not a replacement for standard watches. I’m pretty worried about “Google Glass” as well, it’s a good product at the wrong time. 9. This year, which gadget you had thought to buy from the beginning? Already bought it or still waiting? I wanted to buy a tablet, earlier had Apple iPad Mini (Retina) in the list, but I was then impressed by Samsung Galaxy Tab S 8.4 model. It’s a good competitor for iPad Mini and it supports 128GB memory card also. Lets see. Apart from this I have no other target, at least for this year. Saving money for investing on valuable gadgets later as Warren Buffet says – “If you buy things you don’t need, you will soon sell things you need ” and you can see the same quote in my Facebook profile! 10. What is your favorite gadget and what is so special about it? My favorite gadget is my current phone – Sony Xperia Z1. Apart from the fact that it is waterproof it also has a 20.7MP camera. I even sometimes use it as a replacement for my laptop. 11. Windows Phones now have over 300000 apps, walking in the path of Android? Going to take some market share from Android or Android will be dominating forever? I haven’t used a Windows Phone as my primary phone, so no personal experience on this. But I think, more than apps, Windows need a good brand to promote their mobile OS. Nokia Lumia series is extremely good and they should produce a phone which directly competes with Apple’s iPhone in terms of quality and features. With more number of applications Windows is almost similar to Android. 12. Spice is going to launch Firefox OS powered phone before Diwali, at a budget friendly price. Will it be a hit in India? A new OS replacing standard Android or Windows is really a difficult thing. Whenever people buy a smartphone, they’ll ask whether it supports WhatsApp and other common apps, so it’ll take time for them to get used to the market. People are ready to buy a smartphone for 10K on average these days, so they have lots of alternatives. Spice is a mobile brand which barely made any popular news, so a tie-up with Mozilla Firefox will help them a lot. 13. Jolla is the new player in the smartphone market with a new OS and support for Android apps, and coming to India very soon. Will you like to buy such an innovative gadget? I would surely love to try this device and give my views. Their Sailfish OS concept is really interesting and I’m pretty sure they would have some USPs when they are competing with Android. If it is good enough I won’t mind investing my bucks on it. 14. What is your opinion about the flash sale model of Xiaomi via Flipkart? Many people are getting frustrated as the site crashed due to huge amount of activity during flash sales. I believe it could be a pure marketing tactic considering the fact they know Indian users are dying to get Xiaomi Mi3 phone. They are probably experimenting us with each and every flash sale, so that they can produce more models and see the outputs. 15. Recently, we have acknowledged a lot of complaints against Flipkart. Are they becoming too greedy and forgetting about the customers? Flipkart is facing a tough time, they can clearly understand that they are not alone in this eCommerce ocean. Amazon.in, at the same time, trying their best to add more sections and make it a global portal for every item. Amazon or Flipkart, if you are like me, then you’ll probably go for the site which gives a product in less price. 16. Recently, Flipkart and Amazon, both made huge investments. Will a global e-commerce platform like Amazon be able to dominate Flipkart? It’s obvious I think Flipkart came only because of Amazon, considering the founders were once employees of Amazon. But when Flipkart launched, it was something new for Indian users, they redefined the term ‘Online Shopping’ and they made us trust it. I appreciate Flipkart for that. For clothing, I’ll prefer Myntra and Jabong over other sites. But for gadgets, I’ll usually end up with Flipkart or Amazon, I browse, analyse and see which one has the low price. Flipkart partnered with the Indian Government for several things and they also have collaboration with major smartphone brands such as Motorola and Xiaomi. So I think Flipkart still has a deadline. 17. Any tips for iGadgetsworld.com team? Or a rating? I’m impressed with the quick posting strategy, wish I could maintain the same. Just keep posting like this and one day, we’ll see where we want to be. These are the thoughts that come up from Pradeep , and definitely, we talked about a few very interesting and trending things in the world of smartphones & gadgets. If you haven’t come around him or haven’t heard about him, just join him on social networks.